Open House OLD FIELD, NY Reduced to $599k. 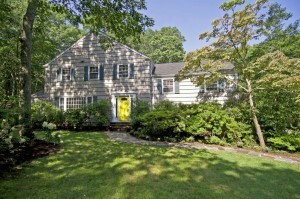 COLONIAL ON 2 ACRES! Don’t Miss This Opportunity to Live in The Incorporated Village of Old Field for the Unbelieveable List Price of $599,000! This Custom Built, Multi-Level 4/5 Bedroom Colonial is situated on a private 2 Acre Lot just minutes to Stony Brook University, hospitals, and shopping! If you love tennis, the Old Field Club is the place for you. Love the beach? Check out West Meadow Beach. Other local preferred links for you: St. Charles Hospital, Mather Memorial Hospital, Brookhaven National Lab, Renaissance Technologies, Three Village School District. The basement of this home is part finished with a fireplace. The living room is bright and opens to the formal dining room with beautiful hardwood floors. The eat-in-kitchen with beautiful Andersen windows and vestibule overlooks the slate colorful garden/patio. The stone driveway is new. The oil burner is new. This is truly a quality family home with plenty of room and closets galore! Distinctive and Different! See The Virtual Tour! BE THE FIRST TO BE NOTIFIED OF NEW LISTINGS!